Virginia’s Courtney Bartholomew swam to an NCAA A cut in the 200 Back during the last prelims session of the UGA Fall Invitational. Chase Kalisz won his signature event, the 400 IM, to give him his third win of the evening. His time of 3:50.38 was an extremely solid in-season swim. The women’s fifty free hasn’t seen this much speed in a while and it could by anybody’s race Thursday night. Born July 29, 1993 Maddie Locus is a senior sprinter at the University of Georgia, where she is a multi-time NCAA All-American. Locus has come a long way since being put in swim lessons to curb her fear of the water. 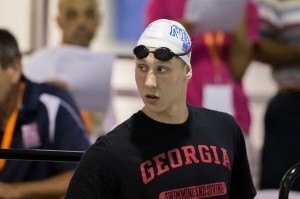 The Student-Athlete Advisory Committee Co-Vice President has been apart of two Georgia National Championships, and could be apart of a third this season. She is studying math, and plans to pursue a Ph.D. in order to become a research professor at a university. From Sugar Land, Texas, Locus swam with American Record Holder, Simone Manuel, and was a Texas 5A State Champion at Dulles High School. Locus was a Presidential Scholar her freshman year for maintaining a 4.0 GPA. She qualified for the 2012 NCAA Championships, finished third on the 400 freestyle relay, ninth on the 200 freestyle relay, 10th on the 200 medley relay and 11th in the 100 freestyle. Her sophomore year at UG Locus was inducted into multiple honor societies including Blue Key Honor Society and Golden Key International Honor Society. 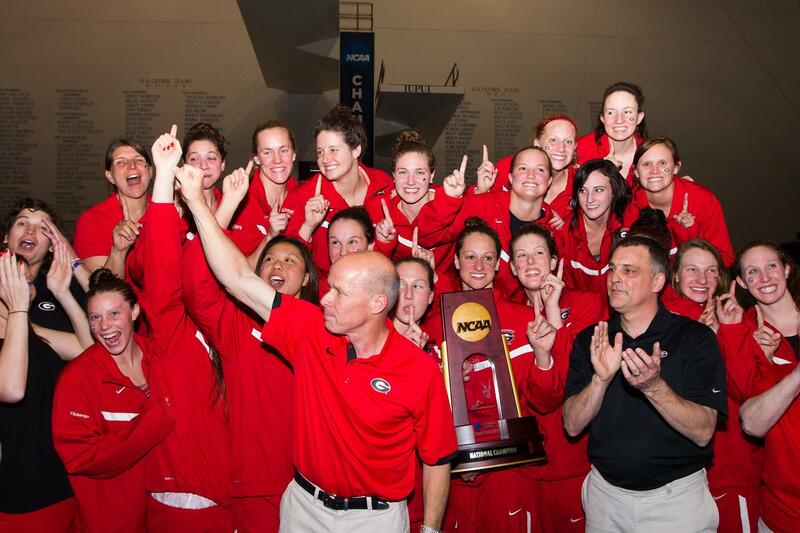 Locus finished second in the 200 freestyle relay at the NCAA Championships, which helped Georgia win its fifth national title. She also was impressive at the SEC Championships, coming in fourth in the 50 freestyle, 18th in the 100 butterfly, 24th in the 100 freestyle and was apart of the winning 200 freestyle relay. After coming in second in the 50 freestyle and fourth in the 100 at the SEC Championships, Locus had a breakout NCAA’s coming in fifth in the 50 freestyle. She also helped the 200 and 400 freestyle relays finish in the top eight, and the Bulldogs won another national title. Locus was the female recipient of the Joel Eaves Award, given to the rising senior with the highest GPA, and was a recipient of the Ramsey Scholarship for Academic/Athletic Excellence. For her senior season Locus was the recipient of the Women’s Swimming & Diving Scholarship and was the representative to the Student-Athlete Advisory Committee. At the SEC Championships Locus finished in the 2nd 50-yard free and 3rd in the 100, helping Georgia to its 6th-straight conference title. Next up was the 2015 NCAA Championships. Locus started off the meet by swimming the 200-yard free relay that finished 3rd overall in an extremely tight race for 1st. Individually she qualified for the championship final of the 50 free, where she went 21.80 for a 5th place finish. With a break on day two, Locus returned for her last individual event of the meet – the 100-yard free. Locus advanced to the championship final, and tied for 7th overall. She teamed up with three Georgia teammates for the 400-yard free relay that took 3rd, helping Georgia to an overall team finish of 2nd place. Locus was named to the USA Swimming National Team after coming in third in the 50m freestyle and fifth in the 50m butterfly at the Phillips 66 National Championships. She swam at the 2014 Pan Pacific Championships and placed 10th in the 50m freestyle. In 2012 she qualified for the U.S. Olympic Trials in three events including the 50-meter and 100-meter and 200-meter freestyles.